1. 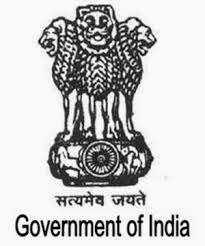 Service conditions, wages and social security for various categories of workers employed in different Central Government and State Government schemes (Anganwadi, Mid- day meal, ASHA, Sarva-ShikshaAbhiyan and other schemes under various Ministers of Central Government. 2. Social Security with special reference to Assured Pension with indexation for all workers including self-employed. Mallikarjun Kharge Assured Central Trade Union Leaders to Brief Prime Minister about issues Raised by them and Appealed to the Central Trade Unions not to Inconvenience the General Public and the Workers and to Withdraw the Notice for the Proposed Strike. The Union Minister for Labour & Employment Shri Mallikarjun Kharge and the Minister of State for Labour & Employment Shri K.Suresh met the representatives of eleven major Central Trade Unions on 13th February, 2013 in New Delhi to discuss the proposed country-wide General Strike on the 20th and 21st February, 2013. Senior officers of various Ministries also attended the meeting. As directed by the Prime Minister, senior Ministers in the Union Cabinet – ShriA.K. Antony, Defence Minister, Shri Sharad Pawar, Minister for Agriculture and ShriMallikarjun Kharge, Minister for Labour & Employment held a round of discussions with the representatives of the Central Trade Unions on the evening of 18th February to convey the serious intent of the Government to resolve the various issues raised in their charter of demands. Hon’ble Speaker, Lok Sabha has referred ‘The Child Labour (Prohibition Regulation) Amendment Bill, 2012’ as introduced in Rajya Sabha to the Standing Committee on Labour for examination and Report. Considering the wide implication of the proposed amendments and the deeper concern for rehabilitation, welfare and security of child labour, the Standing Committee Labour under the Chairmanship of Shri Dara Singh Chauhan, MP decided on 15thMarch,2013 to invite suggestions/comments/views from the public in general and from individuals/NGOs/Experts/Stakeholders and Institutions in particular. The memoranda/suggestions submitted to the Committee would form the records of the Committee and would be treated ‘confidential’ and privileges of the Committee. Those who wished to appear before the Committee, besides submitted memoranda, were requested to specifically indicate so. However, the Committee decision in this regard remained final. The 2nd SAARC Regional Workshop on Child Labour began on May 29th, 2013 in New Delhi to chalk out and promote comprehensive and gender-sensitive approaches to understanding and responding to child labour; showcasing strategies and initiatives that have promoted learning and action to ending child labour and protecting adolescents at work; and fostering cooperation through the SAARC mechanisms and partnerships on the issue. The 03 day long workshop for SAARC Member countries was jointly organized by the Ministry of Labour and Employment, Government of India and V.V. Giri National Labour Institute in collaboration with the International Labour Organization. The total financial implications for extension of RSBY to rikshaw pullers, rag pickers, mine workers,sanitation workers and auto rickshaw drivers and taxi drivers, would be around Rs.210 crore approximately for the year 2013-14 and Rs.419.89 crore from the year 2014-15 onwards. The exact amount will be determined on the basis of persons identified and registered under these categories during each preceding year and actual premium rates. The projected benefit would facilitates health insurance cover to rickshaw pullers, rag pickers, mine workers, sanitation workers and auto rickshaw drivers and taxi drivers. RSBY is being implemented in 28 States/Union Territories. The target for the year 2013-14 is to cover 3.60 crore Below Poverty Line (BPL) families. At the 102th Session of International Labour Conference’s (ILO) India stronglyput forth the interests of developing countries in their important policy speeches. Poverty alleviation and attainment of Millennium Development Goals still remain a priority for developing and low income countries. In the Sustainable Development Committee India will strongly advocate its stand that all three pillars of sustainable development – economic, social and environmental should be given equal importance. Green economy and green jobs are not an end in itself but one of the means of attaining the over-arching goal of sustainable development. India along with other developing countries follows the principle of CBDR (Common But Differentiated Responsibilities) in the area of environmental issues i.e. the developed countries should share a bigger responsibility as compared to the developing countries. Shri Shish Ram Ola took over as new Union Minister Labour and Employment Minister 0n 18th June 2013. Shri Ola had already handled this portfolio from May 23, 2004 to November 27, 2004 in the UPA-I tenure. Material sent for Uttrakhand Flood Victims. Union Labour & Employment Minister Shri Sis Ram Ola flagged off the material, collected by the employees and officers of the Employees Provident Fund Organisation. The seven trucks loaded with relief materials flagged off on the occasion carrying rice, atta, pulses, refined oil, sugar, potatoes, clothes, shoes and other materials to provide relief to the victims of natural calamity in Uttrakhand on 2nd July, 2013. The officers and staff of Organisation also presented a Cheque of Rs.1 crore to the Minister on the occasion, for sending it further to the Chief Minister, Uttrakhand. • The form will be called Transfer Claim Form instead of Form 13 for easy comprehension by the beneficiaries. • The form can be presented after verification, either through the present employer or previous employer. Earlier the form could be submitted after verification only through the present employer. • This form can be submitted online as well as in physical form. The facility of online submission of this form will be given shortly after process of collecting the digital signature of the employer is completed. • The facility to file physical form shall continue to cater to the needs of working class who do not have internet access. • Employee will be allowed to submit their applications online, if their employer is having registered digital signature. • Online submission of form will introduce paperless process for claim settlement. • Every beneficiary will be informed through SMS and e-mail about the stage of process of the claim to make the entire process transparent and accountable. • After introduction of online claim settlement, endeavour will be made to substantially reduce the assured time of settlement of transfer claim which presently is 30 days. Chairman, Central Board of Trustees, Employees’ Provident Fund & Union Minister for Labour & Employment, Shri Sis Ram today launched a new software for Updation Of Annual Accounts of EPF Members on 04th September, 2013 The new software “Updation of Annual Accounts (Interest Processing and Approval) will be after office hours and hence smooth functioning of the office during office hours. However, the timing may be adjusted according to office convenience. Storage of F 24 details/ F24 summary in pdf format in the server.